Mareldea Davids has kept Strawberry Play Centre going even in hard times. The situation was getting worse by the week. “It came to a point where we didn’t even have enough food and had to buy one packet of this or that to get by. I would look at myself and ask what’s wrong with me,” says Mareldea. 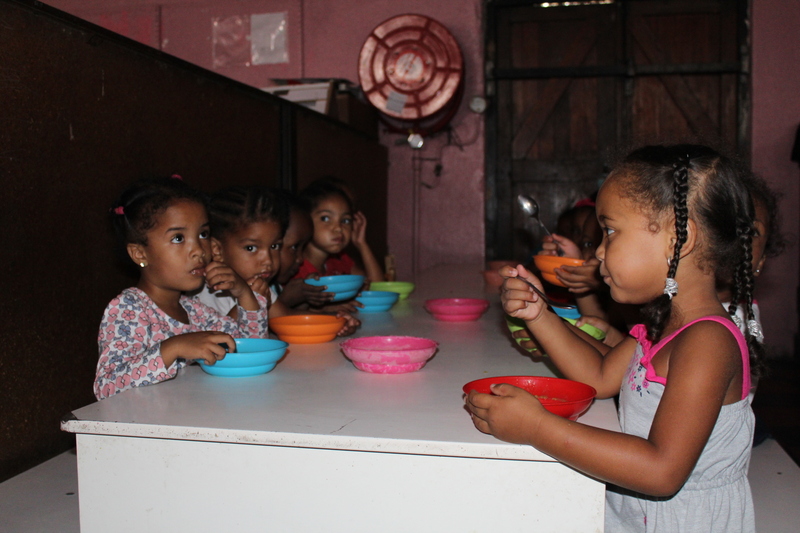 Despite all the issues she had with keeping her centre going, Mareldea didn’t want to ask any of the non-paying parents to stop bringing in their children because at the end of the day, “The community is also suffering,” she says. 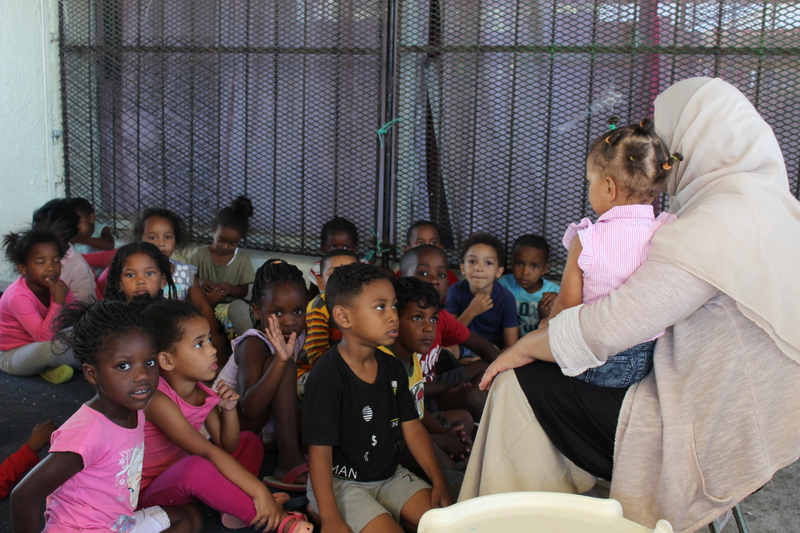 Children from Strawberry Play Centre listen intently as a practitioner does a read aloud. 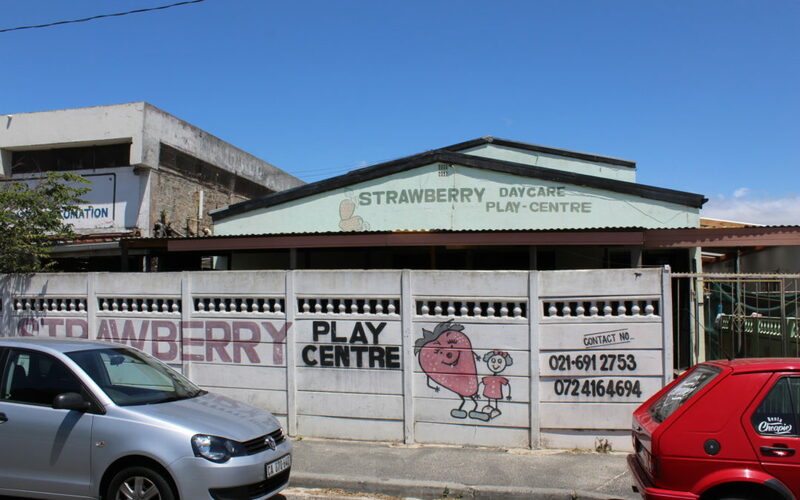 Strawberry Play Centre has been caring for generations of children living in Manenberg, Cape Town and the surrounding areas for 25 years. The suburb is home to more than 52 000 people, the majority of which are low-income households, plagued with high incidence of crime and gang activity. Many of the children enrolled at Strawberry Play Centre would have nowhere else to go if they were turned away from the safe haven the centre provides. In November last year, the centre which has been registered with the Department of Social Development since 2015, finally had a breakthrough. 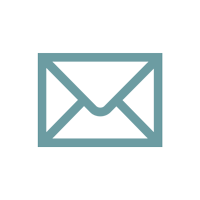 After months of being told that funds were insufficient, they were granted the early learning subsidy. Strawberry Play Centre will be adding two new prefabs that will be used as an administration block and sick bay. The money was transferred in a lump sum and benefitted Strawberry Play Centre in a number of ways. The bulk of the money went to paying practitioner salaries and completing projects to upgrade the centre’s infrastructure. 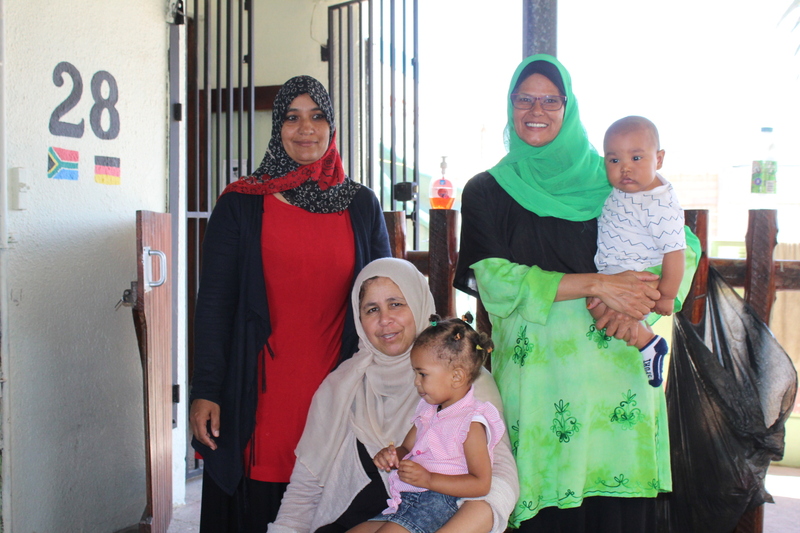 “With the money we fixed our leaking roof, broken toilet cisterns and sewerage,” says Mareldea. Mareldea poses with two of her practitioners and learners. 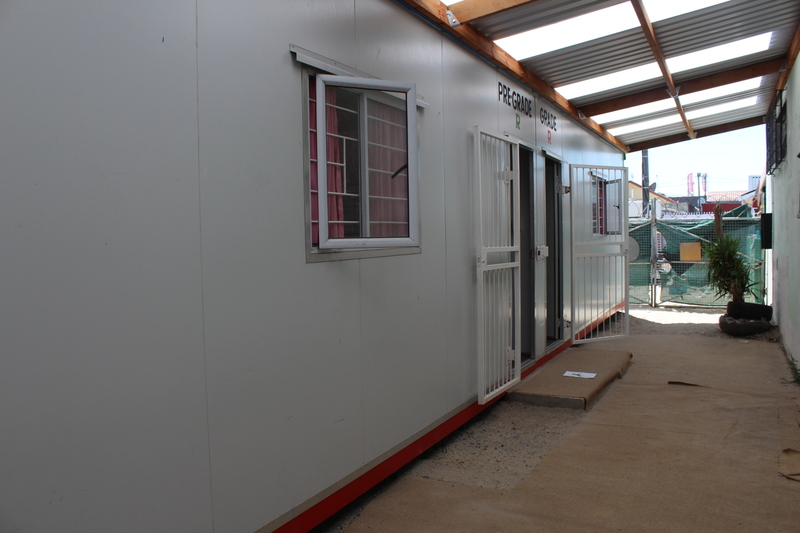 Mareldea has several other projects lined up for the centre, including adding new administration and sick bay buildings, the containers for which she has already purchased thanks to the extra money from the subsidy. 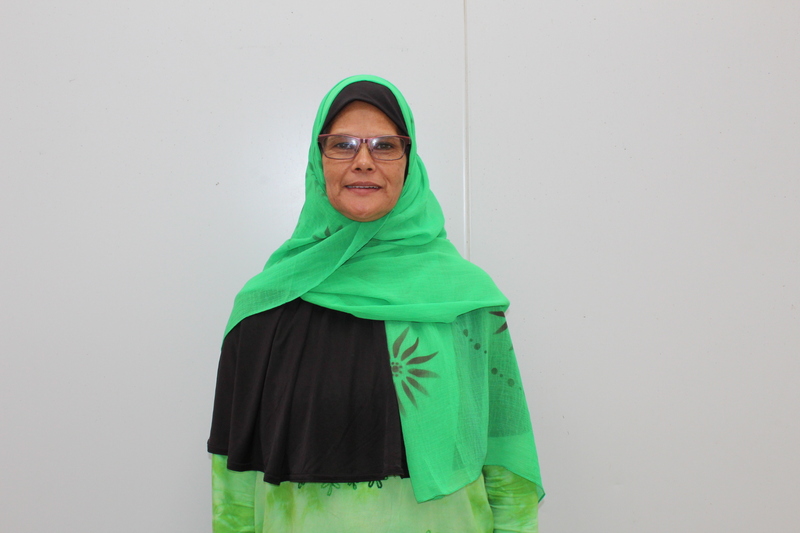 Mareldea wants to start a no-bag policy that will ensure that money they receive is used toward healthy food for her learners.